Based on IDG’s 2018 cloud computing research, this executive summary provides an understanding of organizations' cloud computing plans by outlining the solutions they are moving to the cloud, and which as-a-service models they are likely to move them to. The study reveals that 73% of organizations have at least one application in the cloud, and another 17% plan to do so in the next 12 months. 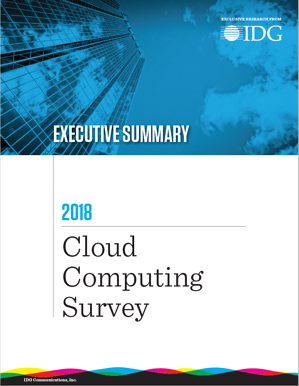 Download your copy of the 2018 Cloud Computing Executive Summary by filling out the form.